Thinking of buying, or know someone who is? The first step is to save up for a down payment. 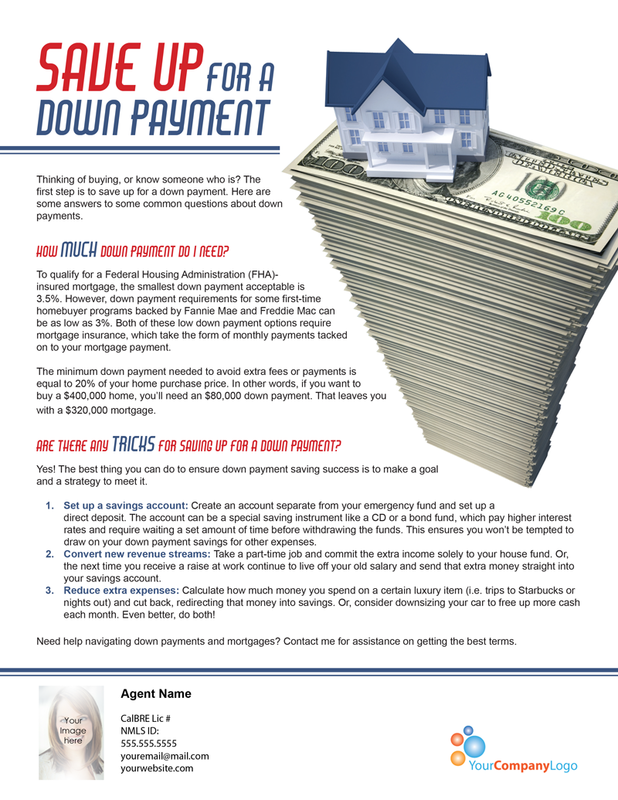 Here are some answers to some common questions about down payments. To qualify for a Federal Housing Administration (FHA)-insured mortgage, the smallest down payment acceptable is 3.5%. 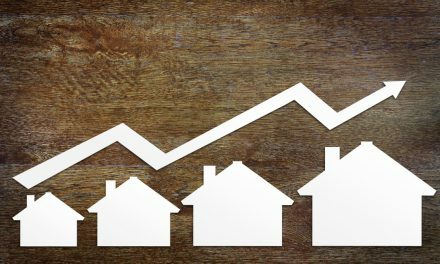 However, down payment requirements for some first-time homebuyer programs backed by Fannie Mae and Freddie Mac can be as low as 3%. 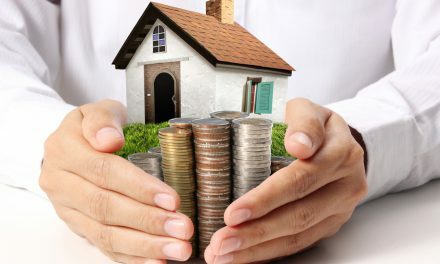 Both of these low down payment options require mortgage insurance, which take the form of monthly payments tacked on to your mortgage payment. The minimum down payment needed to avoid extra fees or payments is equal to 20% of your home purchase price. In other words, if you want to buy a $400,000 home, you’ll need an $80,000 down payment. That leaves you with a $320,000 mortgage. 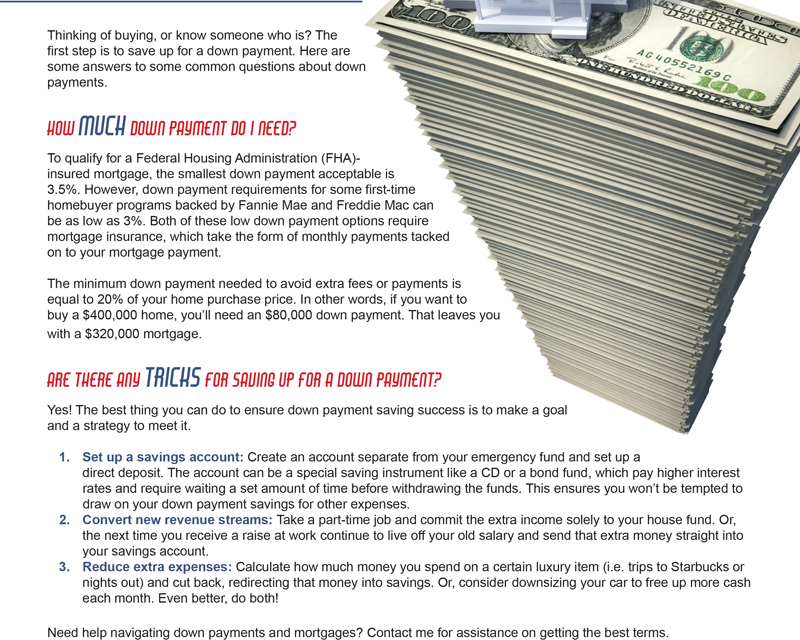 Are there any tricks for saving up for a down payment? Yes! The best thing you can do to ensure down payment saving success is to make a goal and a strategy to meet it. Set up a savings account: Create an account separate from your emergency fund and set up a direct deposit. 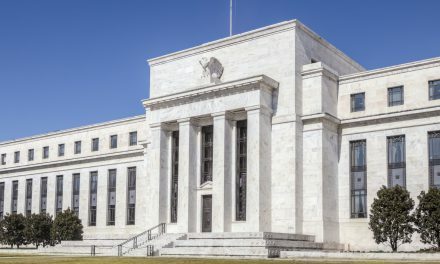 The account can be a special saving instrument like a CD or a bond fund, which pay higher interest rates and require waiting a set amount of time before withdrawing the funds. This ensures you won’t be tempted to draw on your down payment savings for other expenses. Convert new revenue streams: Take a part-time job and commit the extra income solely to your house fund. Or, the next time you receive a raise at work continue to live off your old salary and send that extra money straight into your savings account. Reduce extra expenses: Calculate how much money you spend on a certain luxury item (i.e. trips to Starbucks or nights out) and cut back, redirecting that money into savings. Or, consider downsizing your car to free up more cash each month. Even better, do both! Need help navigating down payments and mortgages? Contact me for assistance on getting the best terms.